N.C. A&T is a project partner of the Piedmont Triad Sustainable Communities Project. Click on the image to see it bigger. “Since 2008, Greensboro Police have referred more than 1,600 children and families to the Child Response Initiative, which provides early intervention to children who have been exposed to trauma. News14 Carolina has a report that includes an interview Kelly Graves, associate professor in the A&T Department of Human Development and Services and executive director of the university’s Center for Behavioral Health. Graves manages the Child Response Initiative. More information on the expansion of the program is available from the City of Greensboro. Four members of the A&T Division of Research and Economic Development will be among the speakers at the annual meeting of the North Carolina chapter of SRA International, a professional society for research administrators. The meeting will be held Monday March 5 through Wednesday March 7 at the Durham Convention Center in downtown Durham. Donna Eaton, director of research compliance and ethics, will be a member of a panel for a half-day session on policy development and implementation on March 5. On March 6, Louis Judge III, director of technology transfer, will speak on a panel on technology transfer, and David Arneke, director of research communications, will take part in a panel on using social media. Nora Shively, proposal development specialist, will be the moderator of the panel on social media. Registration is open through February 21 to full and affiliate members of SRA International. The Environmental Protection Agency and N.C. A&T have formally agreed to work together to increase the number of environmental engineers and scientists, to improve the region’s environment, and to develop new solutions to environmental issues. Those are among the objectives of an agreement signed on January 19 by Chancellor Harold L. Martin, Sr., and Gwendolyn Keyes Fleming, the EPA’s regional administrator. Under the broad-ranging memorandum of understanding, the EPA and the university will provide mutual technical assistance in such areas as environmental health research, computational toxicology, climate change research, and workforce development. N.C. A&T will take the lead in research programs on brownfields. The creation of Center for Environmental Health & Community Risk Information Management at A&T also is envisioned in the document, as well as a climate change research and modeling program. An increase in the number of minorities with careers in environmental science and environmental engineering. 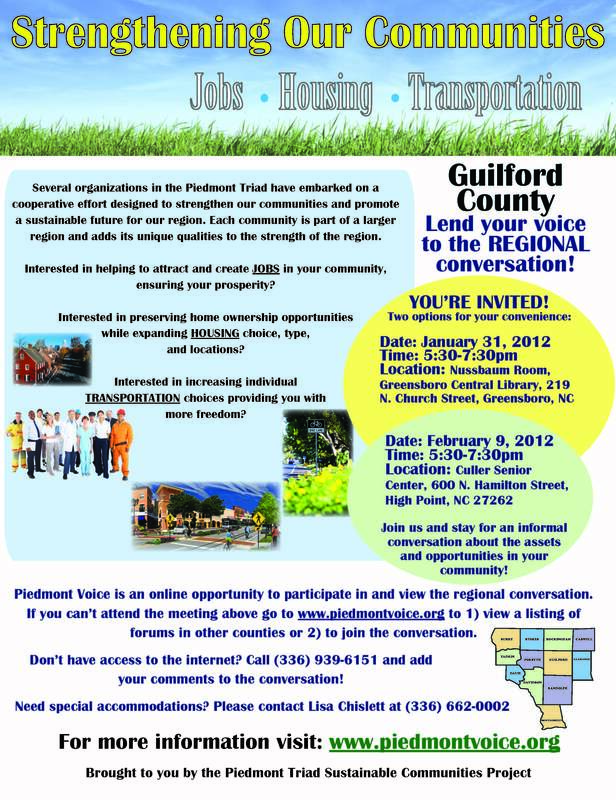 The improvement of the environment in the Piedmont Triad region. Greater understanding of local pollution causes and effects. Greater awareness of environmental stewardship ethics among students and local residents. Research and development of novel techniques for radiation cleanup using, for example, discoveries in nanoengineering and nanoscience. Research for discovery and innovations relevant to understanding and mitigating environmental health issues in the community. Offering opportunities for research experiences for both undergraduate and graduate students in the area of molecular environmental toxicology and environmental research. Nominations from departments to their school/college are due Thursday March 15. The school/college nominations are due to DORED on Thursday March 29. Winners will be announced Monday April 9. They will be honored and receive their awards on Research Excellence Day, Thursday April 19, at the awards luncheon. Full details — including eligibility rules, judging criteria and application forms — are available here (PDF). The Division of Research and Economic Development encourages all colleges and schools to submit nominations. In the last four years, winners have come from five different academic units. 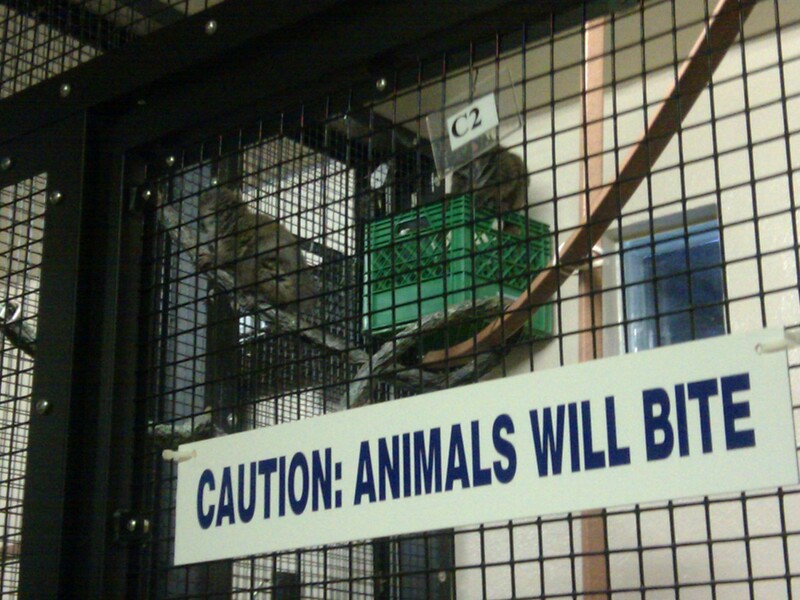 The Duke Lemur Center has the largest group of lemurs in the world outside their native Madagascar. Tours are given Mondays through Saturdays (details here), and they give you the opportunity to get a very close look at the little prosimian primates. You’re never going to get a better opportunity without actually going to Madagascar. 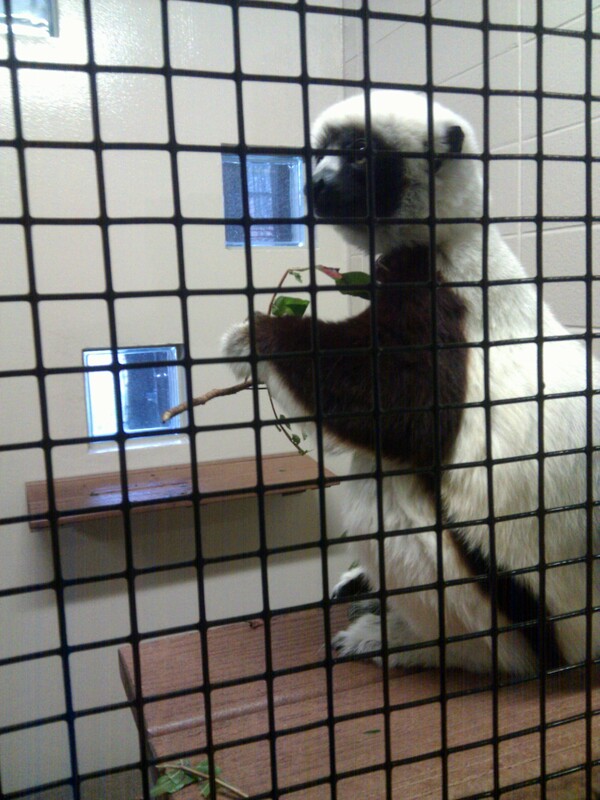 A lemur with a leafy green afternoon snack at the Duke Lemur Center. 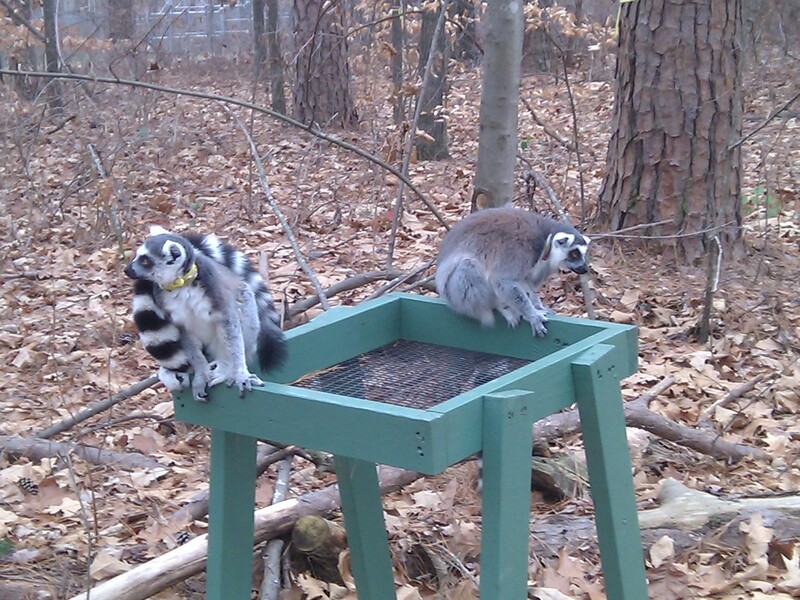 Out in the woods: Lemurs who respond well to training get to run free (within limits) when the weather is sufficiently warm (above 40 for three straight days). In many native languages, there’s no word for science. It’s not that there’s no science in those cultures; it’s just that science isn’t differentiated from the rest of life. That’s a beautiful concept and an enviable one, considering the problems our society has in getting people even to think about that scary thing we isolate from the rest of our lives and call science. The point arose, courtesy of Dr. Cynthia Coleman, a member of the Osage tribe (Musings on Native Science), at the Science Online 2012 conference in Raleigh last week. But you don’t have to seek out another culture to find perceptions about science that differ profoundly from those of faculty members and researchers. It’s right there in the classroom. The discussion was convened by Dr. Lee; its starting point was broadening participation in online science communication and communities. Dr. Lee’s insights are on her blog and are well worth reading. It was encouraging both to see a good turnout and to hear a very engaged exchange among a diverse group of scientists and communicators. The key takeaway: We all (including you, us and everyone else) need to be doing more to understand and engage those who are in our STEM programs (whether they’re struggling or not), those who are opting out for other careers, and especially the many potential engineers and scientists who got discouraged early on and won’t even think about it now. We can’t expect them to come to us. We have to go to them, and they’re online. We should be, too (that’s not the only place we need to be, but it’s one where we need to have more of a presence). Check out the list of bloggers at Minority Postdoc or the blogging collective Scientopia. Or consider the e-mentoring opportunities at MentorNet. The opportunities are out there, and they’re as accessible to you as they are to your colleagues here and counterparts at other universities who are already involved. It’s a matter of us being as engaged in reaching out as we want our students and potential students to be in opening their minds to the possibilities of being our students, our colleagues and, ultimately, our successors.